In most cases, mailing a pie in a care package is not a good idea. Crème pies need refrigeration. Fruit pies leak. All pies don’t appreciate being turned upside down or being tossed about. Pies are not sturdy and sturdy is what you look for in care package baked goods. So how about something that has the flavors of your favorite pie but is bite size and mailable? How about a basic cookie recipe containing instant pudding mix that gives the cookie a chewy texture that lasts for a week or more. How about doctoring up that basic recipe with the flavors of pie? Pudding cookie recipes are all over the internet. I’m obviously way behind in jumping on this bandwagon. 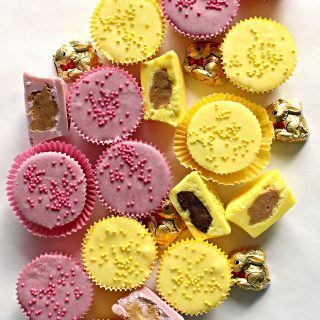 I have seen a variety of pudding cookies at Two Peas & Their Pod, Dinners, Dishes, and Desserts, and Traceys Culinary Adventures.The idea caught my attention because of the way the pudding mix keeps these cookies chewy for longer than the average cookie recipe, very helpful when mailing. All of the recipes are basically the same. The only variables are the flavor of the pudding and the add-ins (baking chips, fruit, nuts, etc.) I decided this was worth a shot. At the supermarket, I stood for a long time in front of the shelves and shelves of pudding mixes trying to decide which flavors to try. I stood there long enough that several people had to reach around me to get their jell-o boxes. I am a Libra. I don’t make rash decisions. Finally, I bought one of each and went home to ponder add-ins. 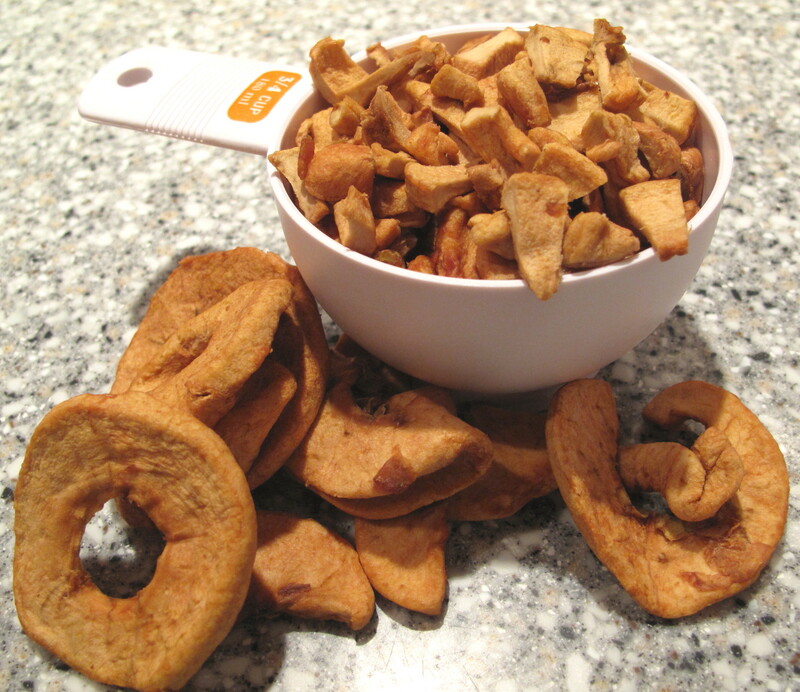 A bag of dried apple rings in my pantry started me thinking about pie. 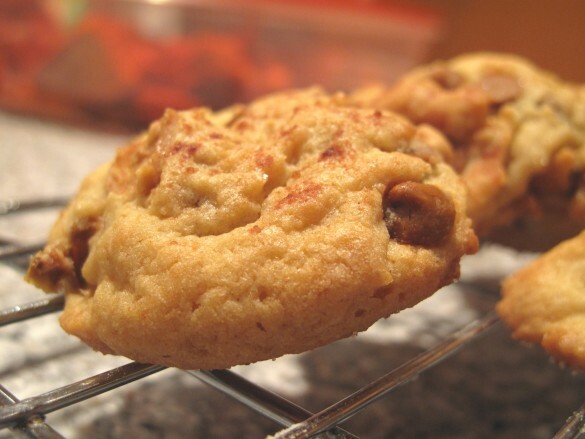 Using vanilla instant pudding, chopped dried apple (plumped), and cinnamon chips gave these cookies the smell and taste of apple pie. Excited by that first success, I had to try a “few” more pie cookie combinations. My personal favorite pie is lemon meringue. So this had to be combo number 2. 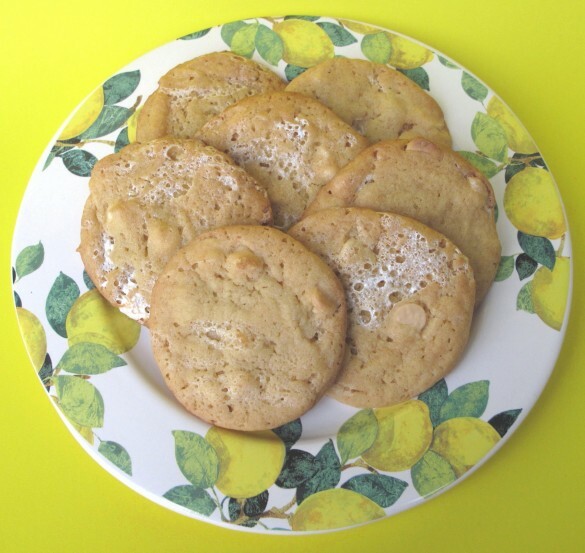 Using lemon instant pudding, marshmallow crème, and white chocolate chips created a pretty close cookie equivalent. 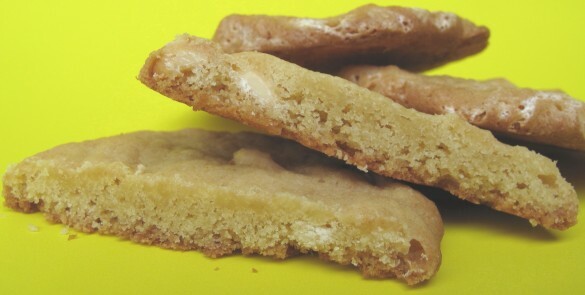 The cookie has a creamy lemon taste. The marshmallow fluff gives a hint of meringue. Some absurdly green mint baking chips by Guittard (available for holiday baking at my grocery store) inspired the grasshopper pie cookie. 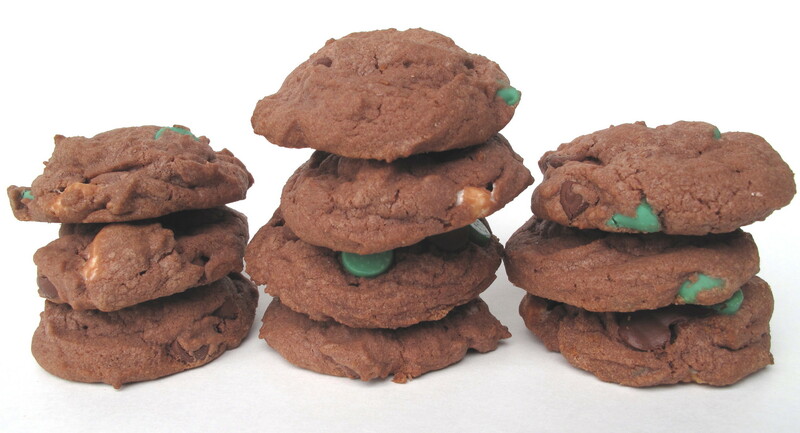 I wasn’t wild about the idea of a green cookie, even though grasshopper pie is very green. Instead, I went with a chocolate cookie (like the chocolate crust of the pie), and added green mint chips ,semi-sweet chocolate chips, and mini-marshmallows. 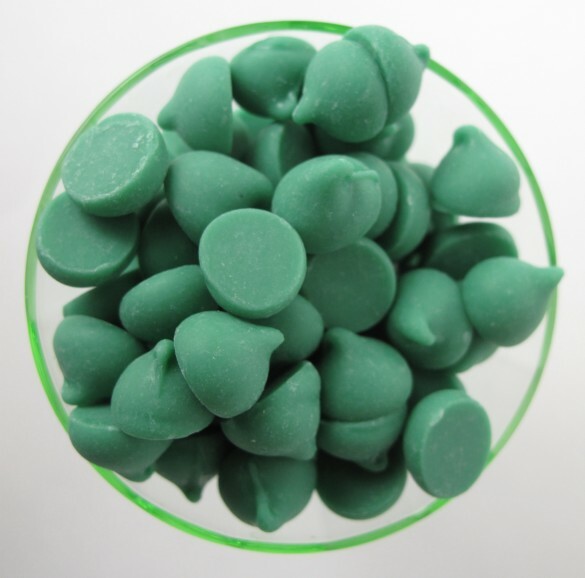 Any mint chips (Andes, Hershey’s, etc.) would work here. 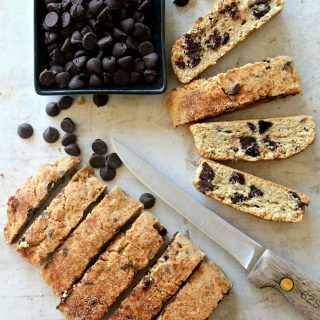 If you prefer dark chocolate chips, go for it. I think they would taste great. 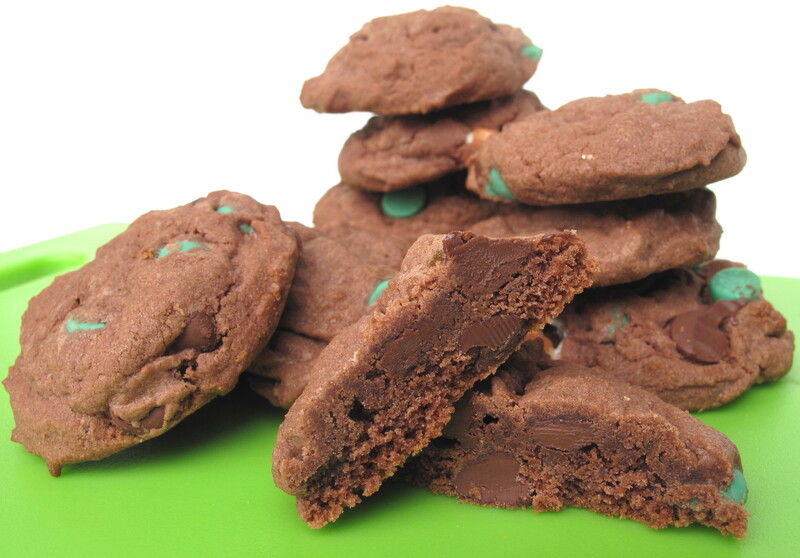 If you want more green color, just drizzle some melted green chips over the baked cookies. 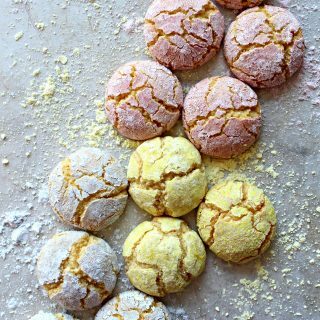 Here is the basic pudding cookie recipe and the tweaks needed to make apple, lemon meringue, and grasshopper pie cookies. A future post will provide further pie cookie ideas. This recipe will work with whatever flavor combinations appeal to you. To personalize, use the basic recipe and your instant pudding mix of choice. Then add 1 ½ – 3 cups of add-ins. These cookies will remain chewy for up to one week when stored at room temperature in an airtight container. For longer storage (up to two weeks) use the slice of bread trick. Place a slice of white bread in the container with your cookies. The moisture in the bread will transfer to the cookies, keeping them from drying out. The bread will get hard and dry, but the cookies will remain chewy. Magic. Please tell your care package recipient not to eat the yucky, dried up bread. 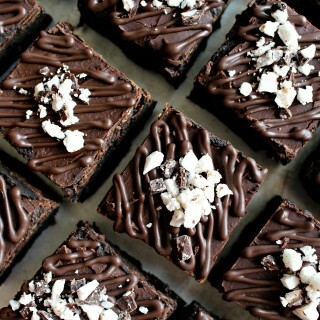 • Preheat oven to 350 degrees F. Line a cookie sheet with parchment paper. • In a medium bowl whisk together the flour, baking soda, and salt. Set aside. • In a large bowl, use an electric mixer to cream butter and sugars. • Add eggs, pudding mix, and vanilla. Beat until fluffy. • Gradually add the flour mixture until blended. 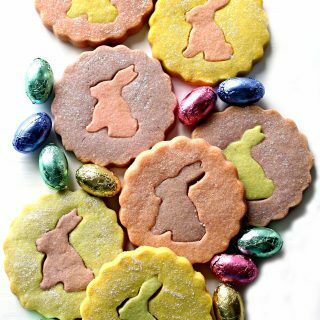 • Scoop heaping tablespoons of dough onto cookie sheet about 2” apart. • Bake for 10-12 minutes, until slightly golden. • When completely cool, store in an airtight container at room temperature for up to one week. • Make basic recipe using vanilla instant pudding mix. 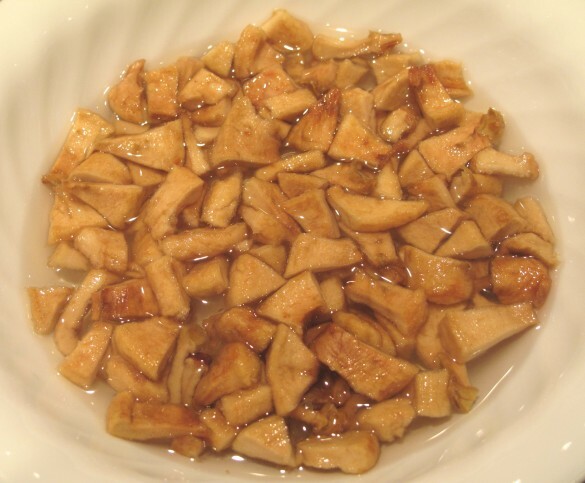 • Stir in: ¾ -1 cup diced dried apple (plumped), ¾ cup cinnamon chips. 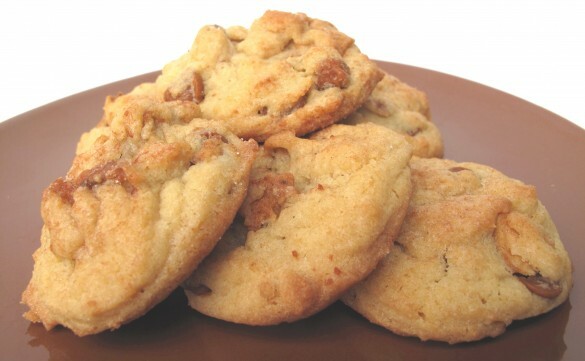 • After scooping dough onto cookie sheet, sprinkle the un-cooked cookies with cinnamon-sugar. • Make basic recipe using lemon instant pudding mix. • Stir in ¾ cup white chocolate chips, then fold in ¾ cup marshmallow crème (marshmallow crème should still be visible in ribbons throughout the dough). • Make basic recipe using chocolate or chocolate fudge instant pudding mix. 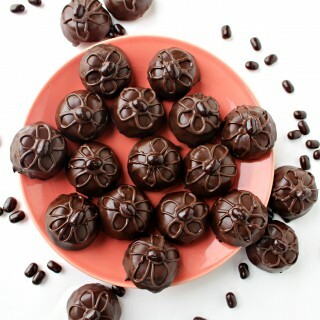 Reduce flour to 2 cups and add ¼ cup of cocoa powder to the flour mixture. • Stir in: ¾ cup mint chips, ½ cup mini-marshmallows, ¾ cup semi-sweet or dark chocolate chips. Packing tips: Wrap pairs of cookies (with bottoms together) in plastic wrap, then place in airtight container or zip lock bag. 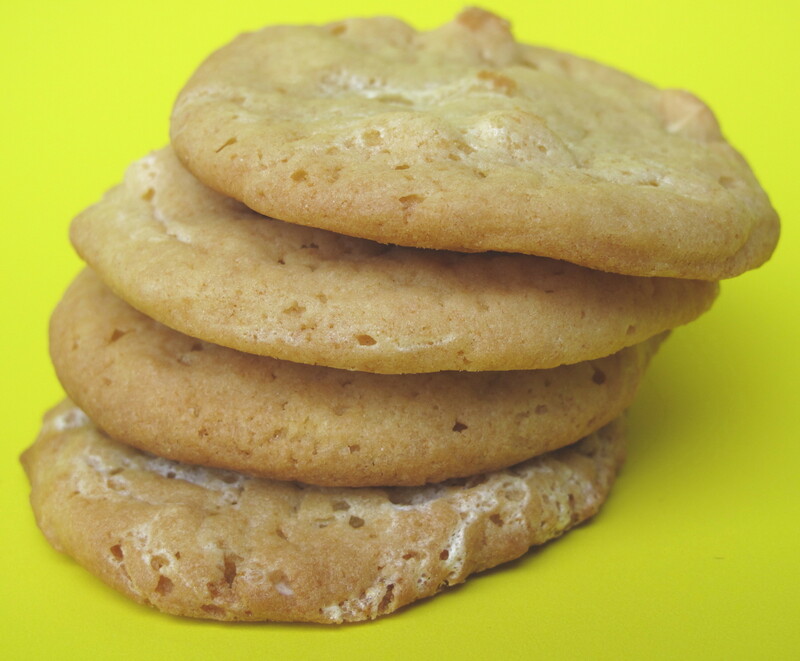 To help the cookies retain their chewy texture, place a piece of white bread in the airtight container. Never pack mint cookies with other types of cookies. 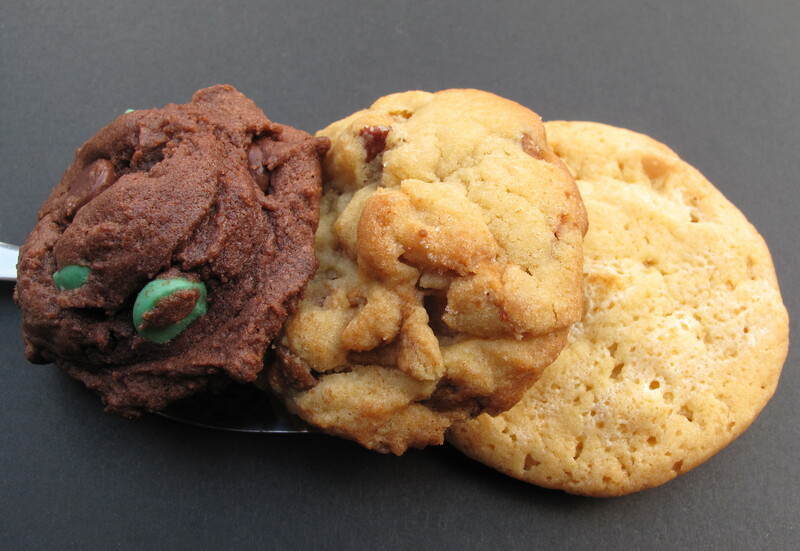 Even through plastic wrap, all of your cookies will end up tasting like mint. Mint please! 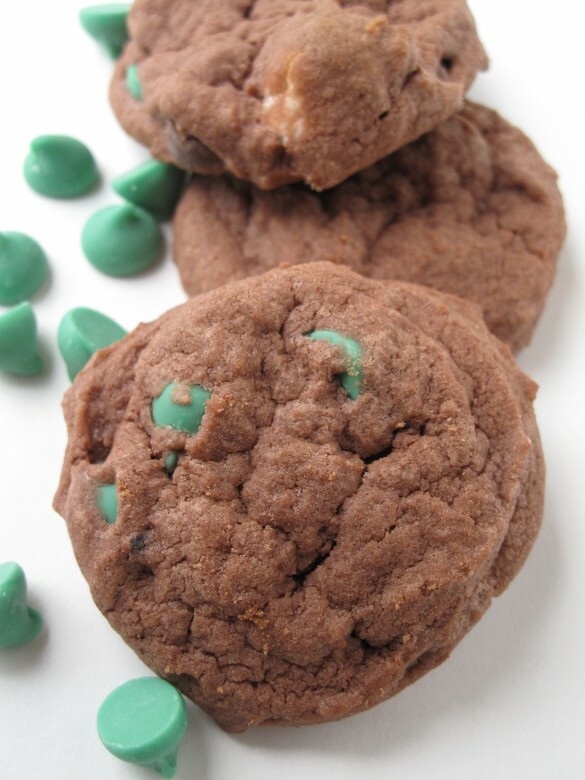 I have tried the pudding cookies and got great reviews, but the mint ones are up my alley! The grasshopper pie cookies were a hit at my house. I was surprised at how minty they are. That chocolate mint flavor combination is a winner.